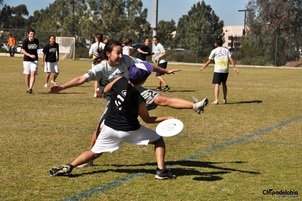 The UCSD Psychos would like to announce the 25th annual Presidents' Day Invite! 25 years ago parachute pants were still cool and you could never put too much mousse in your hair. Rock music was still in and Michael Jackson was the King of Pop. We survived Y2K and now it's the year of pop, it's not a party unless you play Ke$ha, and you're not cool unless you can chant all the words to Tik Tok. 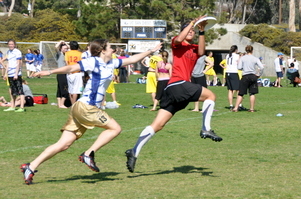 25 years later, Pres Day Invite is still here and we ask you to join us as we celebrate 25 years of competitive college ultimate! Merchandise: Breakmark swag will be sold throughout the weekend, stay tuned for the 2012 design! Housing: If you would like to request free housing, email Chip at the.michelle.chang@gmail.com. Please include the number of people on your team in need of housing. Housing will be offered on a first come, first serve basis.